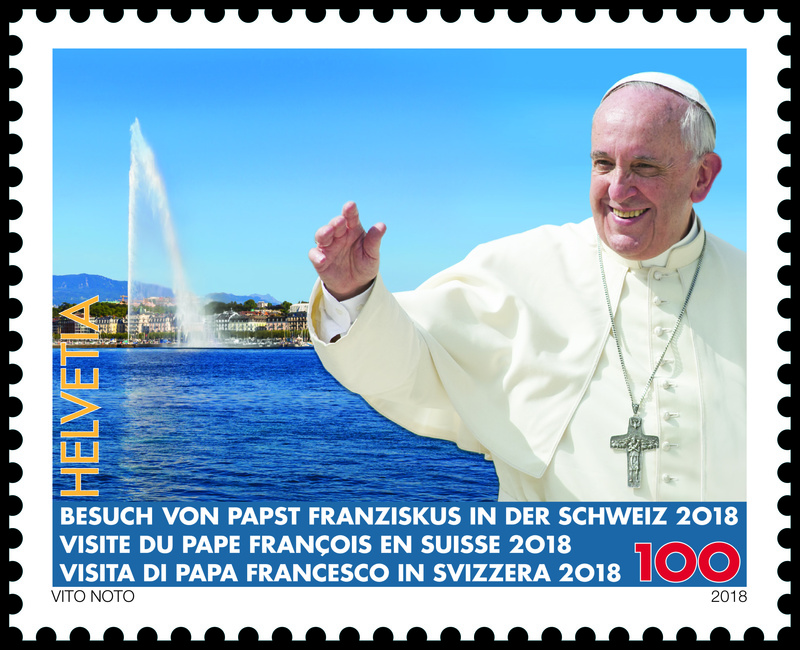 Today Swiss Post is launching the third stamp issue of 2018. The new collection focuses on special events, Jass cards and a magical fairytale world. 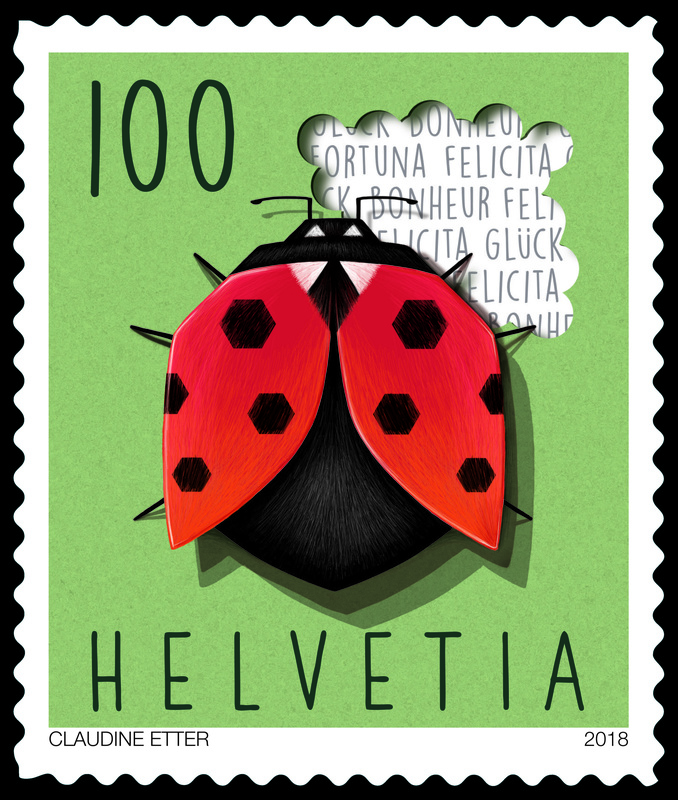 The special stamp marking 100 years since the death of Ferdinand Hodler is a particular highlight. 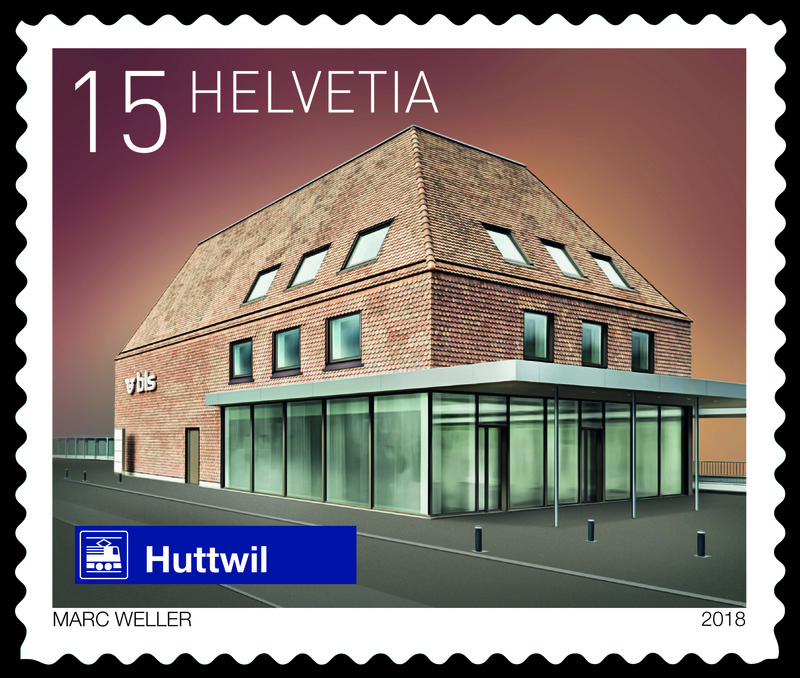 The new stamps will be available in all Swiss Post branches and in Swiss Post’s online shop from 6 September 2018. Birthdays, weddings and anniversaries are good opportunities to write personal letters and cards. With this in mind, the current issue also includes stamps for special events. 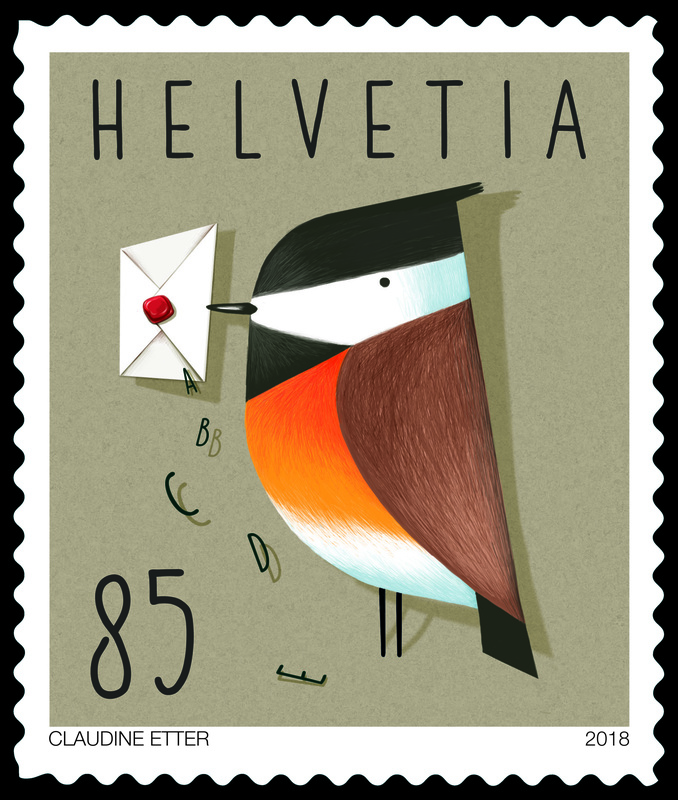 All four stamp motifs by Berne illustrator Claudine Etter symbolize topics related to the written word and letter mail. A four-leaf clover and a ladybird represent happiness. 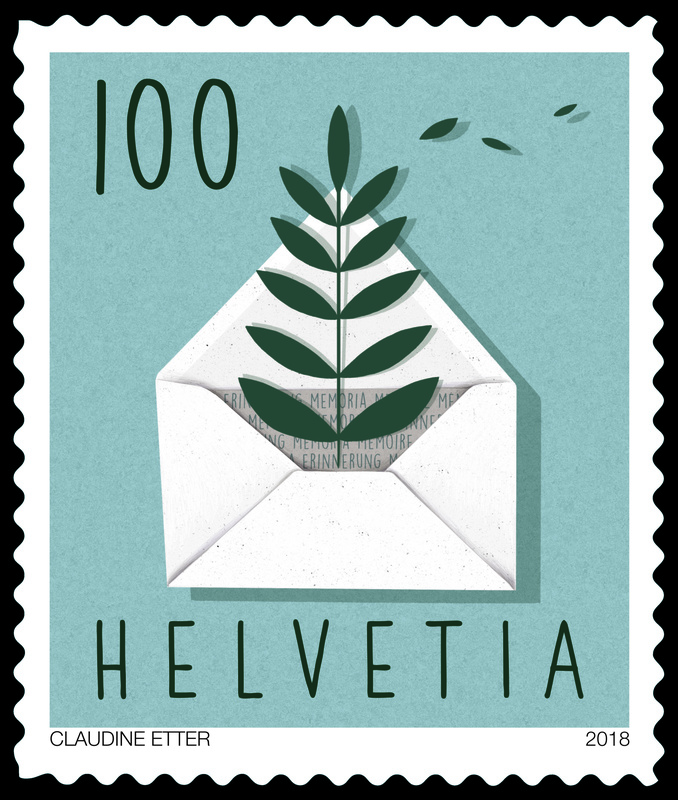 The bird is the classic bearer of good tidings, while the envelope with the fern is more suited to a muted or even sad message. For the first time, the stamp sheets will come with matching stickers in the same style which can be used to decorate letters or envelopes. 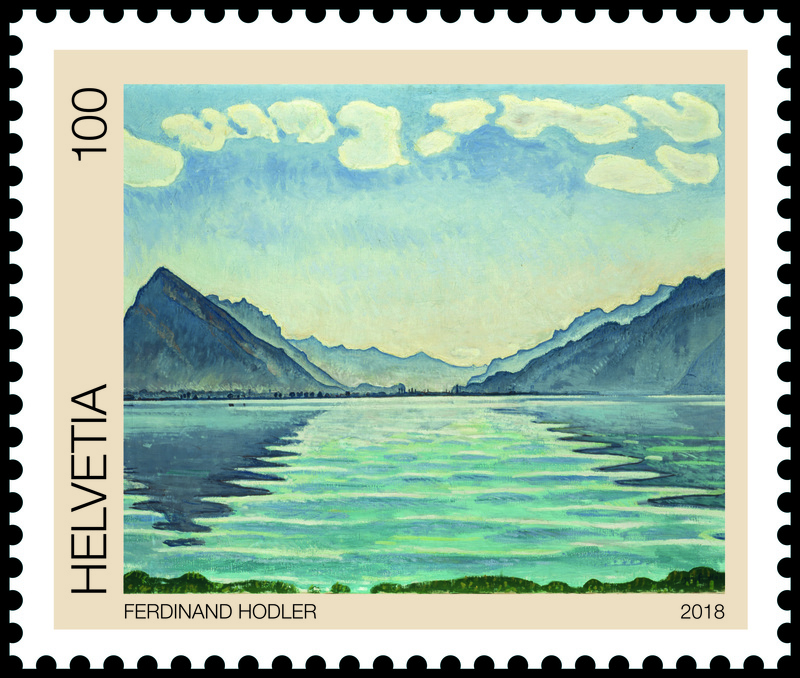 The latest stamp issue is bound to delight both collectors and art lovers: to mark 100 years since the death of the painter Ferdinand Hodler (1853−1918), a special stamp is being issued which depicts one of his typical landscape paintings, “Lake Thun, Symmetric Reflection”, from 1905. Hodler is regarded as the most famous Swiss painter of the 19th century, whose own style brought him international fame. The stamp is the perfect example of how he organized his subjects in parallel patterns, creating symmetry and repetitions. The game of Jass is played all over the country by young and old alike, at the pub or in their own homes, by sticklers for the rules and those with a more relaxed attitude to the game. 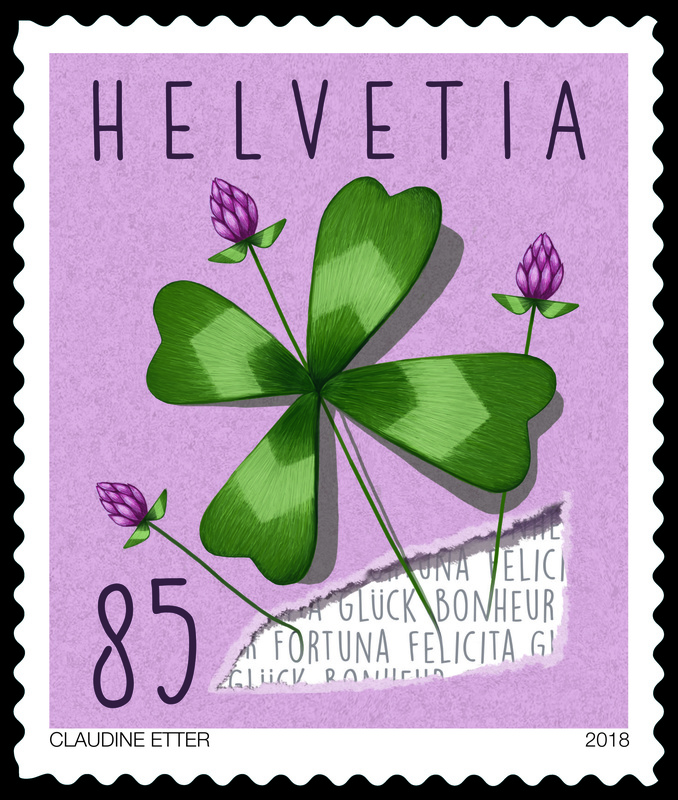 In its third stamp issue, Swiss Post has scaled down four selected Jass card motifs to a stamp-sized format, allowing “Stöck, Wyys, Stich” to move into the world of stamps. The stamps depict the different playing cards used in various regions. In German-speaking Switzerland the four suits are bells, shields, acorns and roses, whereas people in Western and Southern Switzerland play with hearts, diamonds, clubs and spades. 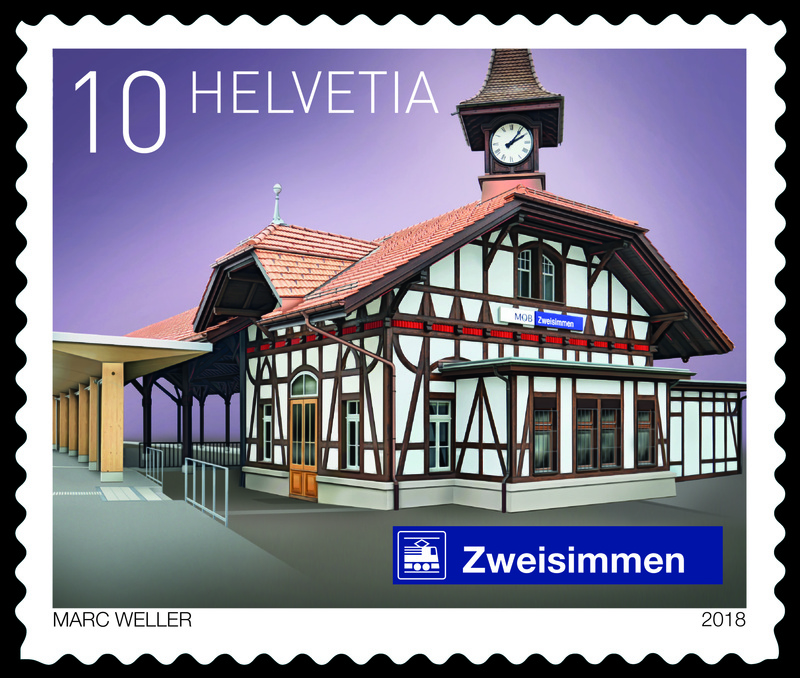 Jens Riedweg, the Jass stamp designer from Zug, has given the motifs a contemporary look without losing sight of the traditional values. There are also two fairytale motifs which should fascinate people of all ages. When placed side by side, the two sheetlets create an enchanted fairytale world. 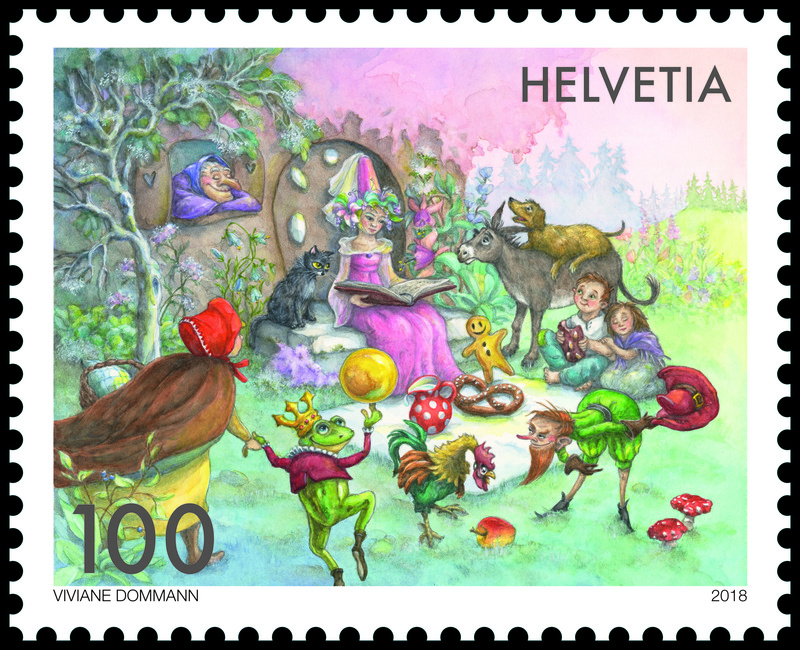 In the “Forest” motif, characters including the Frog King, the Town Musicians of Bremen and the witch from Hansel and Gretel are grouped around a fairy, who is telling a story. 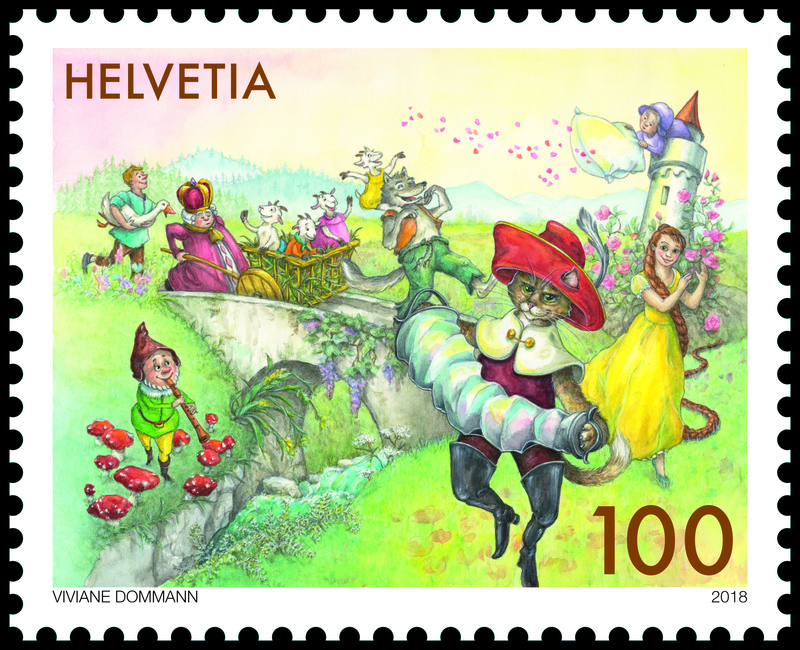 On the “Meadow” stamp, Puss in Boots can be seen playing music in the foreground, while the wolf and the kids, Mother Hulda and Rapunzel frolic in the background. Many other familiar faces can also be spotted on both sheets. Viviane Dommann, the Lucerne-born illustrator, has deliberately brought together characters who had never come across one another in their separate fairytale worlds. 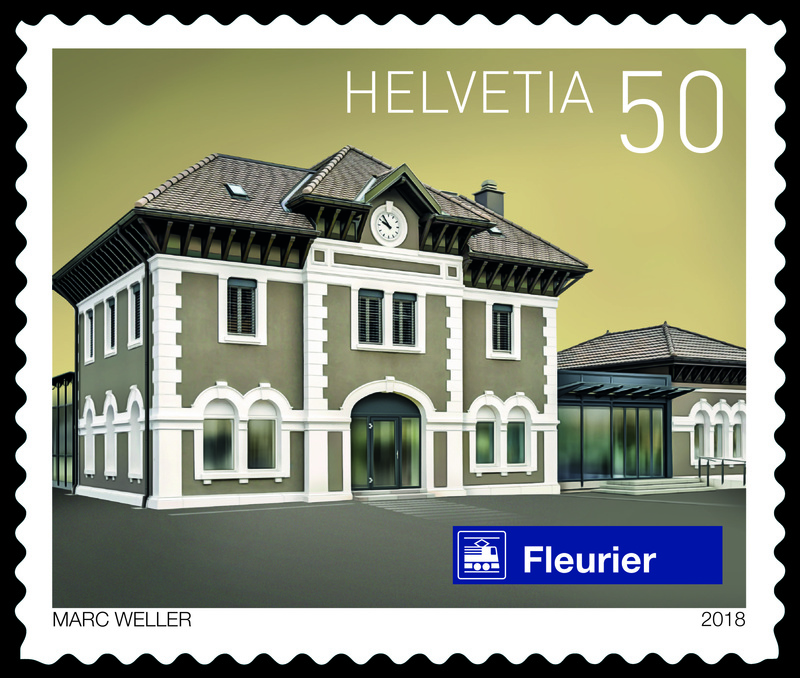 Four new definitive stamps have been added to the “Swiss railway stations” series: Zweisimmen, Huttwil, Alp Grüm and Fleurier. Impressive views of the Appenzell Alps have also been captured on a miniature sheet. 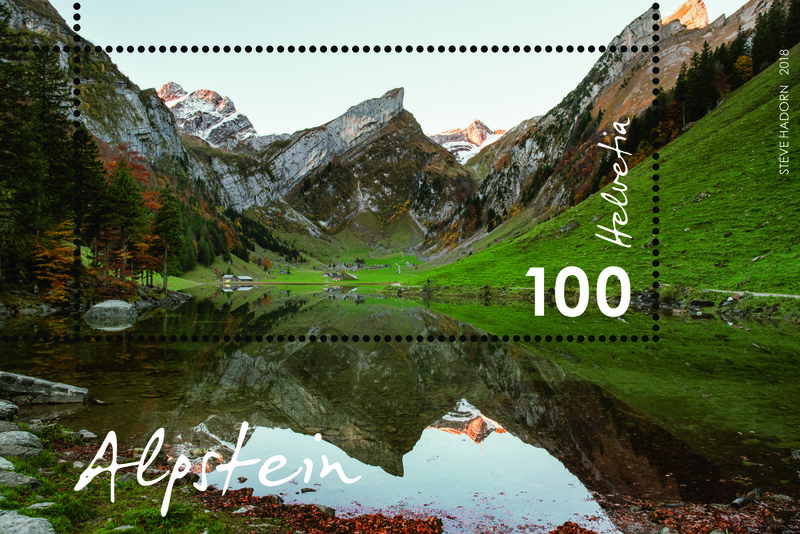 This contains a one-franc stamp and features scenery which includes the idyllic Seealpsee. 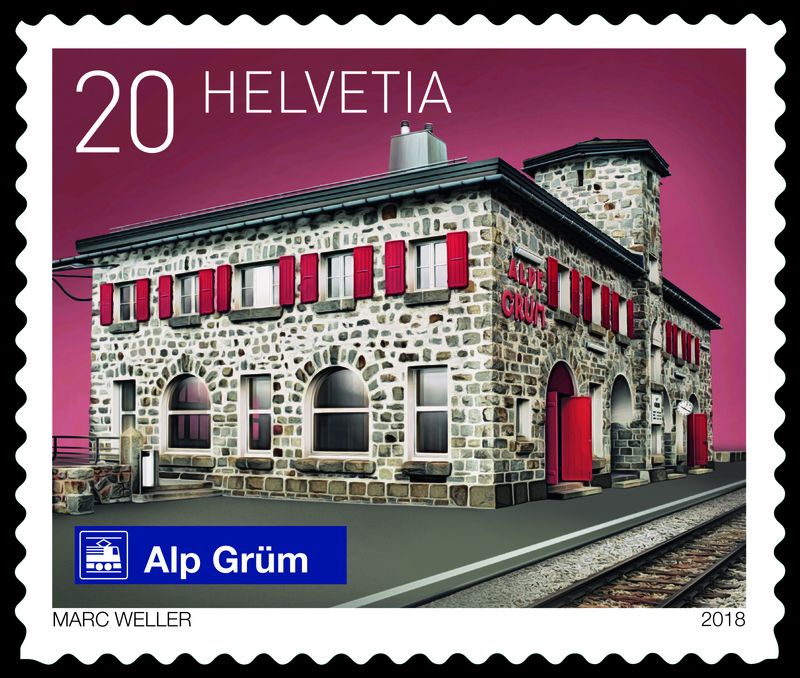 In addition, Swiss Post is dedicating a postal card to the Pro Grigioni Italiano (Pgi) association, which was established in Chur in 1918. 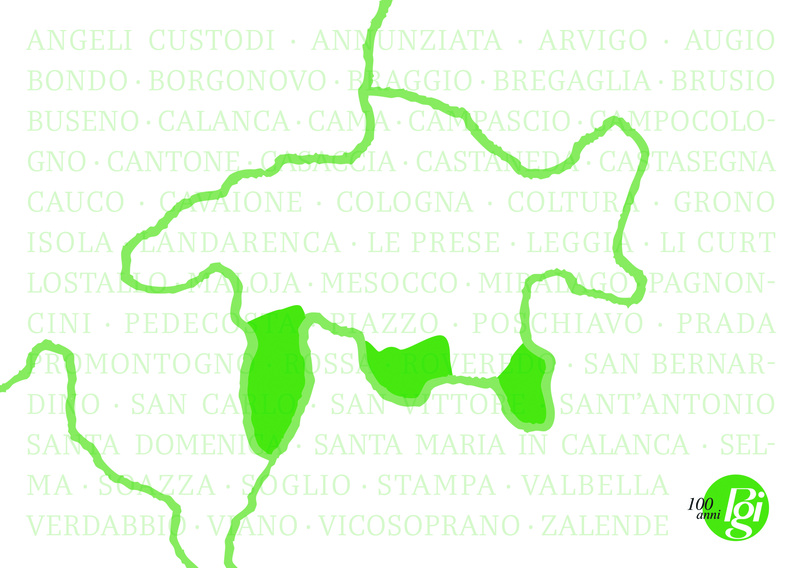 For 100 years the association has been committed to promoting the values and culture of the Italian-speaking population in the Canton of Graubünden.